Thank you for your review and feedback. I will definitely ask Valet Waste to not throw trash. Thanks again! Quick responses for maintanance issues. I needed to fix my lights, the next day somebody came and fixed it. Regular change of AC filter is not also a problem. Awesome place to live! Staff is so friendly and helpful. Always concerned and go out of their way. I've been a resident for 5 months and love it here. You should stop by. Thank you for your review and feedback. I have forwarded your suggestion to Valet Waste so they remember building 8! It's been a wonderful experience at shadow Creek so far. I appreciate the quick response to maintenance issues, the safe environment and friendly neighbors. It's quiet too. Thus, far I am truly happy I moved in Villas. The community is so nice. I love the playground is covered and valet trash actually picks up the trash unlike other places I have lived. Only lived here for 2 months and feels like home. The staff are very nice. Absolutely love the valet trash pickup. Haven't really met my neighbors just able to say hi and bye. Hi Dena- Come meet some new neighbors at your next resident event. We will send you an email! You guys are doing a great job! Leasing agents are very welcoming and nice to the tenants. The maintenance workers can be rude at times but they do get the job done. Thanks for all you do! New resident just moving in staff so far has been really friendly and work fast to resolve any issues. Complex is really quite and friendly. Hi Courtney- Thank you for your review and feedback! I read your comment "complex is really quite" and notice 1 star rated for noise. Please let me know if I can help correct any noise issue you may be experiencing. Jessica King 713-434-2400. My first experience with the complex and the staff was above reproach. Everyone was cheerful and greeted me as soon as I stepped in the door. I'm very pleased with my decision to select this residence. Living here so far is a pretty good experience, there isn't much noise in or the surrounding areas. The area and trash area is pretty clean a lot different from our last place. The office staff is very nice. They listen to your concerns and get the job done. Mrs. Vanessa really made things happen fast for me when I had a problem. So far easy to use but don't understand the full concept. It would be nice if it was more integrated with the apartment resident site as well. Hey Bryn, thank you for your review and feedback. Please let me know if I can show you an easier way to get points for your rewards. When you come in first impressions are everything and it's nice that it's clean kept. There is so much parking so when I get home I don't have to worry about trying to find a spot close to my home. 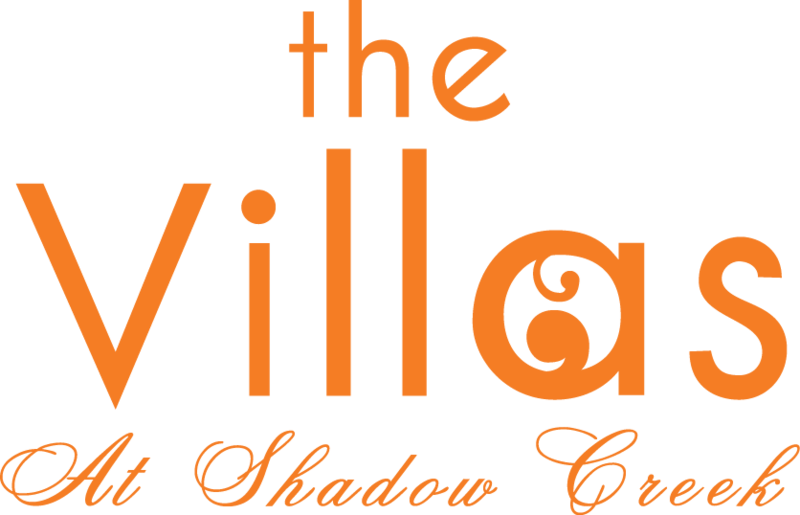 The staff at the Villas at Shadowcreek are very professional and friendly. Danyella helped me and she went above and beyond to find what was right for me and my son. I think this is a good idea. I love getting discounts. I want to get as much as I can. We should be able to use this towards our rent. That would be great! Hey Shanel, thank you for your review and feedback. I have forwarded your idea to Milestone Management. That is a great idea! My move in here at the Villas was very convenient. Outside from viewing the apartment everything else was conveniently done online while I was at work. Thanks for making my move in pleasantly easy. Thank you for your review and feedback. Please let us know if there is anything we can do to make your stay more enjoyable. An amazing caring staff working here! They work hard to meet your needs. They return calls on a timely manner. Assist fully with any questions or concerns you may have. I love this complex! First apartment and I must say they got me in quick. Rita (No Longer there) showed me around the complex. Totally fell in love with the Villas. So far so good, very quiet community! My neighbors are cool and polite. I was super happy on the day the apartments passed out breakfast, I had a meeting that day and was running late, so that made my morning. Thanks! Thank you for your review and feedback. I am happy to hear you enjoyed the breakfast! Please join us at our other monthly events. We have been in the villas at shadow creek for a month. We are very happy and pleased how things work out for us. They are always paying attention to our needs. Very pleasant place and clean. So far everything has been great I love the apartments it's becoming home now! My favorite is the gym is 24 hrs 😀. The apartments are so nice and quiet. im doing great... i really love living in the Villas at Shadow. i would like to request that the car vacuum works. i have been over there serveral times and its not working. My oldest boy has meet some good friends. Hi Mack, Thank you for your review and feedback. I am so sorry the car vacuum is taking longer to repair. I am waiting on the 3rd party vendor approval. Join us at our next resident event to meet more friends! I have only been here a month but so far I have truly loved my decision in moving here. I have had only one service request and they were very quick to resolve it. I love our new home!! !